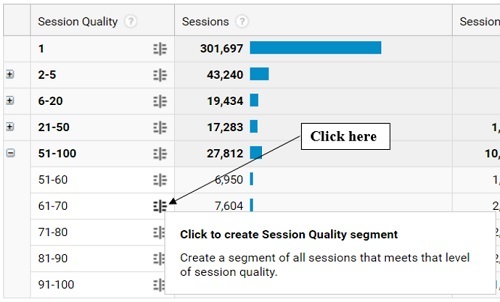 In the context of Google Analytics, ‘session quality’ can either refer to the ‘session quality report’ or ‘session quality’ dimension. 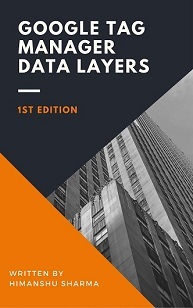 By default the session quality data is available in the session quality report. Note: You will see the ‘session quality’ report in your GA view only when your reporting view meet the minimum requirement for calculating the ‘session quality’ data which is at least 1000 transactions, recorded in the last 30 days. 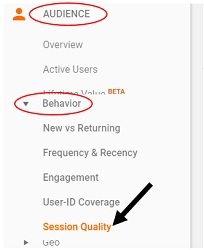 If your GA reporting view is not eligible for ‘session quality’ reporting then you can navigate to the Google Analytics Demo account to see the ‘session quality’ report. This report is available there. Minimum requirement for calculating and reporting on the ‘session quality’ data. 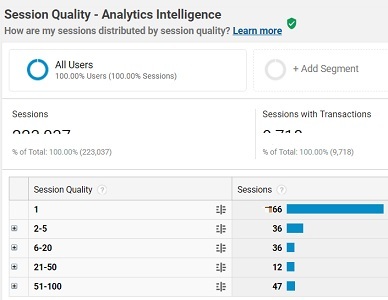 Your GA reporting view must have recorded at least 1000 transactions in the last 30 days for the session quality data to be calculated and reported in your view. 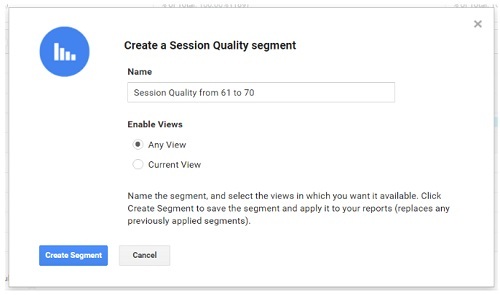 Once your reporting view is eligible for session quality data, you will see the ‘Session Quality’ report in your GA view. #2 ‘Average Session Quality’ metric. 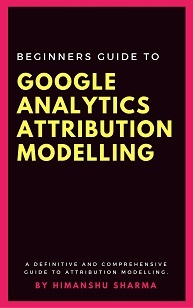 Google Analytics use machine learning to compute the ‘session quality’ data for your reporting view, provided your reporting view meet the minimum requirement for calculating the ‘session quality’ data. Note: In the ‘session quality report the session quality data is available for up to last 6 months. 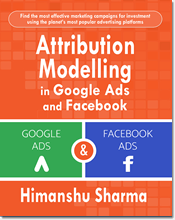 Session quality is a dimension which is an estimate of, how close a particular Google Analytics session was, to transacting (i.e. resulting in a purchase). It is calculated for each GA session. 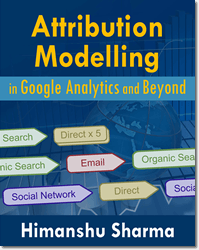 Higher the session quality score, closer a particular Google Analytics session was to transacting. 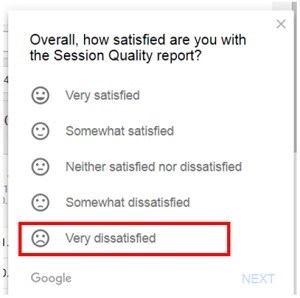 If the ‘Session quality’ score is close to 1 then it means the GA session was of very low quality in terms of generating a sale on your website. 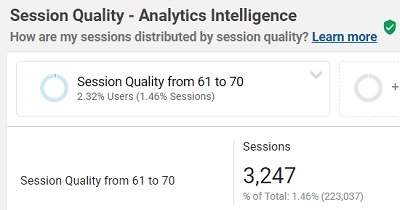 If the ‘Session quality’ score is close to 100 then it means the GA session was of very high quality in terms of generating a sale on your website. 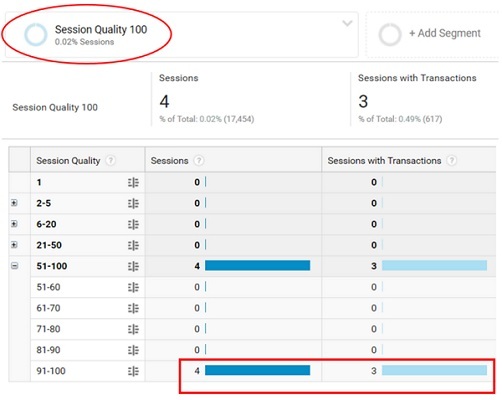 However when your session quality score is 100 then there is a very high probability that this was the session in which a transaction was recorded by GA.
‘Average session quality’ is the average value of ‘session quality’ score, calculated for all GA sessions, related to a particular Google Analytics dimension, in a given time period. Note: The average session quality score of 0.0 means the ‘Average Session Quality’ metric was not calculated, for all GA sessions, related to a particular dimension, in the selected data range. Each session quality bucket (except 1) is made up of GA sessions whose session quality score fall in particular range. For example the bucket ‘51-100’ is made up of GA sessions whose session quality score is in the 51-100 range. A ‘session quality segment’ is a type of custom segment which meets certain level of session quality. 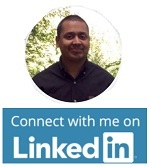 You can create a remarketing audience from a ‘session quality segment’. 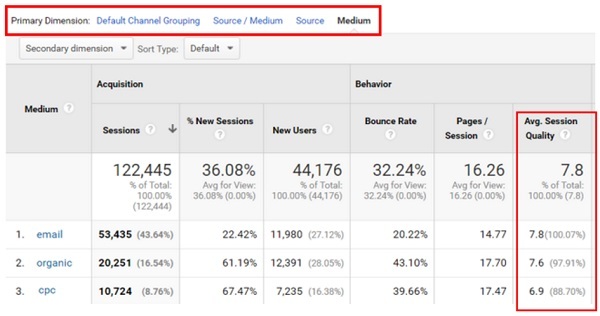 Google’s focus is still on optimizing for ‘random sessions’ instead of ‘users’. 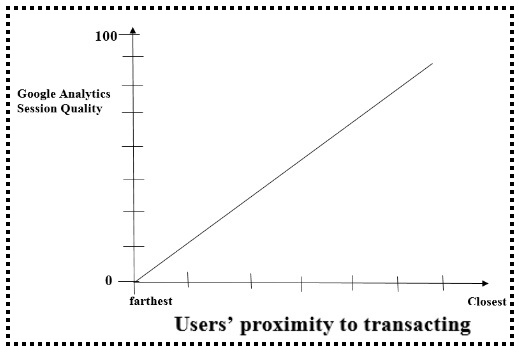 Sessions don’t make a purchase, users do. So instead of creating a session quality report they should have come up with ‘users quality’ report. The ‘session quality’ report seem to be based on the assumption that people make a purchase in a single session and no cross device, cross browser and multi channel sessions occur on your website. It is based on the assumption that if a session does not result in a purchase or does not happen in close proximity to sales then it is a low quality session, which is quite frankly BS. Different sessions from multiple devices and multiple channels work together to create a user experience which lead to sales. So we can’t label certain group of random sessions as low quality or high quality and/or conclude that a high quality session means strong user engagement. The average quality score is another BS metric. 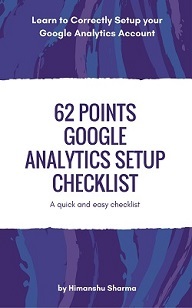 For example, the average quality score for paid search was 7.2 in the last one month. Should we try to improve this average? 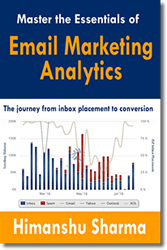 Is it really possible to optimize marketing campaigns for individual sessions? 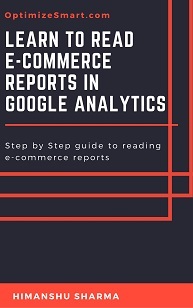 I would use the enhanced ecommerce reports to create ecommerce segments and remarketing audience than rely on the session quality score where even the session quality score of 100 is no guarantee that a transaction occurred on your website. 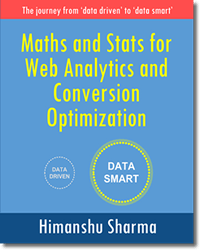 The session quality data reminds me of the ‘smart goals’ which are too, not that smart. I sincerely hope that Google start focusing on ‘users’ instead of individual sessions. 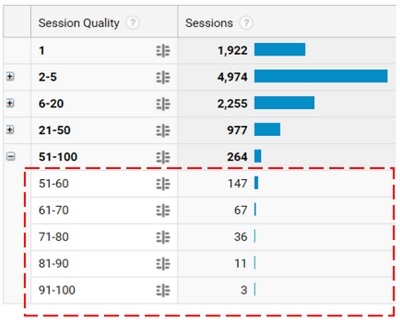 Related Article: Why Google Analytics Show Zero Sessions?